Saturday, November 9th, The Maji, Derrick Carter is back in the city of dreams by popular demand. 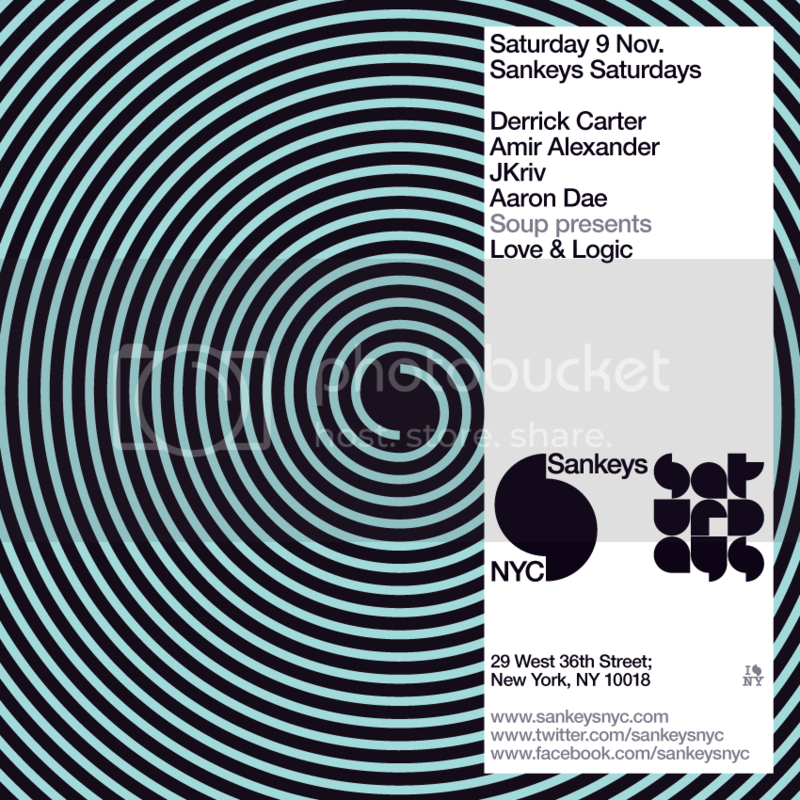 Derrick is a frequent guest in NYC, revered by all and we can't wait to give him a warm Sankeys welcome. He will be supported by an all star line-up of Amir Alexander, JKriv, Aaron Dae, and SOUP presents Love & Logic.